I decided I needed to scurry and make this post because before you can blink, fall will be over and we'll be shivering in winter's wrathful cold. So enjoy these beautiful fall days while you can! Part of the reason everyone loves fall is because it finally cools down enough to bring out our beloved layers. Today, I'm sharing how I've worn summer clothes through all the seasons thanks to those invaluable layers! Want to see how to take your hot-weather favorites into fall (and possibly winter)? Read on! 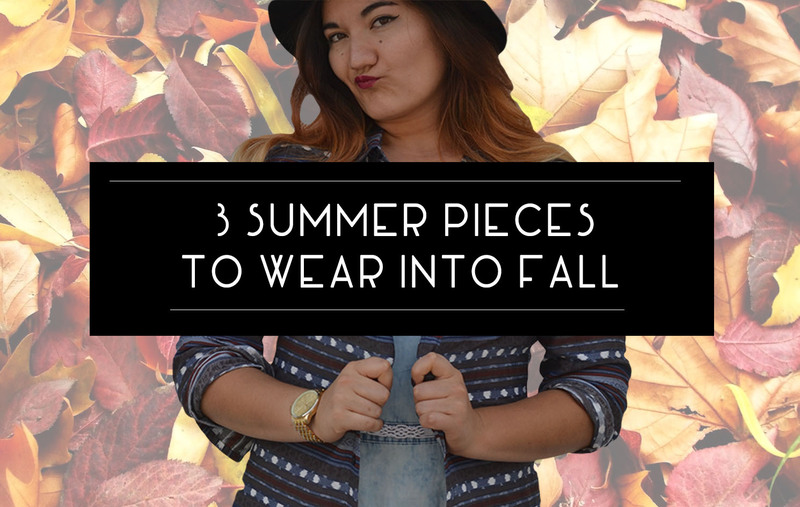 *italicized words indicate fall staples that help in transitioning outfits. Pay attention to those words in italic, because more than likely, you'll want to stock up on them if you want to become a layering extraordinaire! If you really want to look stylish, nab a few knee high socks to peek out of your favorite tall boots, because you'll definitely want to rock this look well into winter. Light tights and a thin cardigan are perfect for the beginning of autumn. Finish off with your favorite hat (which, oh hey, I wore both in summer and fall), and you're set! SUMMER: put on dress...add floral crown for boho effect...and done. With heavier, fleece-lined tights keeping me warm from waist to toe, I felt comfortable wearing a pair of summery shoes. Feel free to do the same. 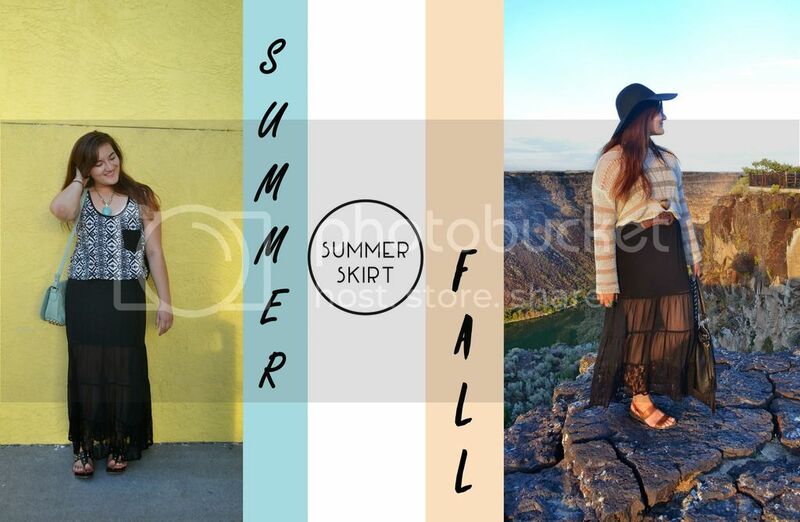 A half sheer maxi skirt? Into fall!? Plus, as we slowly dip our toes into cooler weather, it's the only time you can wear those open knits comfortably. It still has a fall-like vibe, and when paired with dark, neutral accessories (black and brown), you look like you could walk off the pages of that September catalog. Okay, maybe not quite, but we can pretend. By heavy hat, I mean that this wide, floppy hat is made of a thick material that keeps my head toasty warm. The wide brim accentuates the subtle bohemian themes in this look, tying it all together. And there you have it! 3 summery pieces transitioned for fall. What do you think? Any pieces you're rethinking putting away? Rock those layers and tell me which one is your favorite! PS: I'm linking up with #WIWT for this post, check out some other fabulous ladies and their style HERE! I might actually have to try this given my summer wardrobe is so much bigger than my fall one! Thanks for the tips. Sun-dresses come to mama! I love posts like this! Job well done! YES. Thank you for this! I have been struggling like "do I even know how to dress for the fall? no, okay." Sometimes it's easy to forget how simple a seasonal remix is! 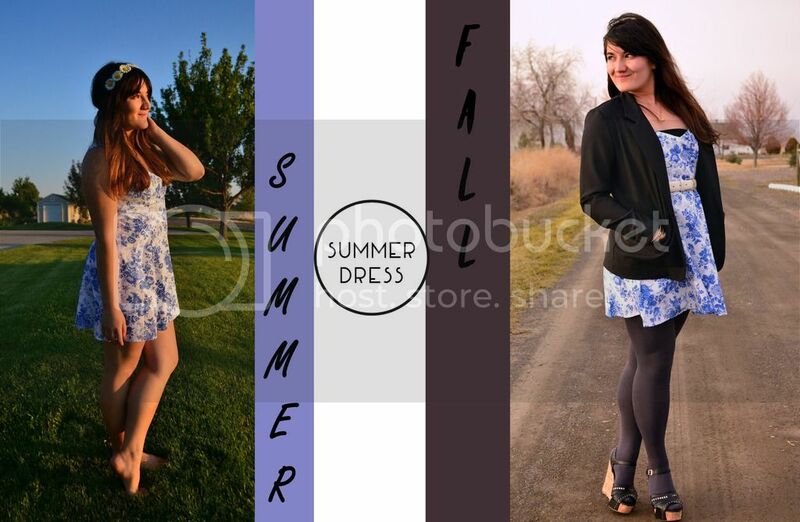 I love how you transitioned these pieces from Summer to Fall Linda! So good! When clothing can serve a second season it's a win win! Great job! Such a great post Linda! I think the summer dress one is my favourite. I don't pack any of my dresses away for winter or summer, I wear them year round (Although I do confess to wearing them less in winter when I favour jeans, haha!). I love to wear summer dresses with chunky cardigans, too! 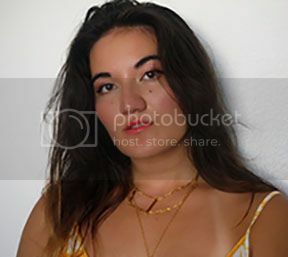 Cool ideas, Great looks babe!!! That dress on the 2nd pictures is so beautiful! So stylish and clever!! Love all the looks and I'm definitely taking notes of these tweaks! whoa, that long black skit is everything! I love how you styled that one in both posts but it's insanely awesome with the sandals! (Haha, now I feel like I need a see-through black skirt, even though I know I really don't. It's all your fault Linda.) I always like transition posts, the first wave of cold hits and it's just like ugh, I want to find a cashmere snuggie and sit on the stove. (I get laughed at because I almost do sit on the wood stove, just barely above it because I just want to be warm. It's the same with bonfires - crispy backside, rare on the front.) your post also reminds me about shorts over tights, that's always a really cute look ad I'd forgotten all about my shorts! Also, I am so sorry! I've been really awful about commenting lately, even worse than usual, and I want to apologize for it. I still read, my phone jus hats the "prove I'm not a robot" and then I forget to comment when I get on the net in town. I'm sorry, I'll try to be better!